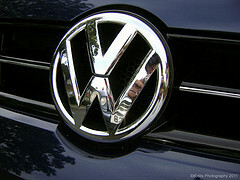 To understand why the Volkswagen emissions scandal occurred, Bob Lutz, the former vice chairman of General Motors (GM) has suggested looking at the then CEO of the company, Ferdinand Piech, and the type of corporate culture that he created. In an interview with Nikkei Asian Review, Lutz claimed that Piech and his management style were the main drivers behind the company’s deliberate decision to cheat on emissions testing. “[Piech was a] brilliant automotive engineer who did unbelievable amounts of good things in his career,” Lutz said. Lutz alleged that, within the Volkswagen culture, no one dared to speak up and send the message upwards that these engines wouldn’t pass – everyone was afraid of losing their job. “I think this is a tragic thing that could only exist, or could only come to pass, in a culture like Volkswagen's, where nobody would dare speak up,” he said. Lutz suggested that Volkswagen choose an outsider as their new CEO to fix the systemic problems with the workplace culture. The individual chosen would have to “insist on a new culture of honesty and openness. And to show an absolute lack of tolerance for any untruthfulness, deceit, cheating, lying, [and] hiding things,” he said. HRD contacted Volkswagen in Singapore, but could not get comment in time for publication.